Factory Direct Pricing ∗ Wholesale to the Consumer. How Much will I save by using EZ Snap® Shades? Save 80% versus the typically Window Awnings. 7x more effective than Interior Blinds or Tinting. How do I figure out what to order and what it will cost? All the prices and kit sizes are listed in our secure Online Store. If you already know what you need , then CLICK HERE to place your order now! 1. How to Measure: Measurements should be made to the outside of the window trim. We recommend that you add 1⁄2” to your height and width measurements. 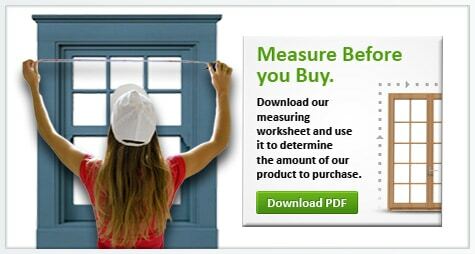 Download the “Measure before you Buy” PDF to help you layout what you need. 2. Record Your Measurements: Using the “Cookie Cutter” method, fit all your window sizes into our 6′ foot wide material. 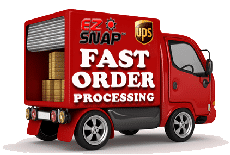 This will help determine the most efficient way to utilize the EZ Snap shading mesh and get accurate pricing quote. Example: For two windows 36” wide x 60” tall you would only need one 5′ EZ-Snap kit. Tip: Use our Measuring Guide to record and organize your numbers, then draw out your plan on the graph paper for best results. 3. Decide the Best Size Kit(s): After you figure out the most efficient way to fit your window sizes into the 6′ foot (72″) wide fabric, simply add up the length of mesh you need and order the appropriate length kit.